Budmouth College Cadets annually participate in a month-long expedition based around adventurous training but specifically designed to develop leadership in our future NCOs. In July a group of twelve departed for the Tibetan Plateau of Eastern Kashmir adjacent to the border with China. The surprises of expedition started rather sooner than expected as the booked British Airways flight somehow morphed into Qatar Airways which delightfully provided a worship channel, presumably dedicated to reassure nervous fliers. This facility would have been more useful on the flight north across the Himalayas to Leh, where high winds forced the pilot to abort a landing for another, thankfully more successful attempt. 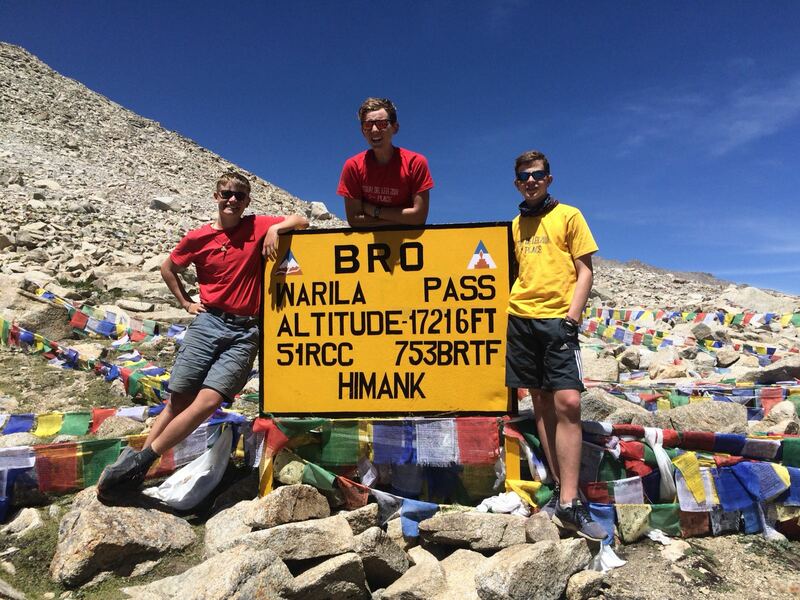 Arriving at 12,000ft sixteen hours after leaving London proved a surprise to the lungs of Cadets who live at sea level. Four members of the party were particularly surprised to discovered their kit had not been loaded although the quartermaster was overjoyed at the prospect of lower laundry bills! The group’s bagpiper was absolutely floored and little recognisable emanated from the instrument. 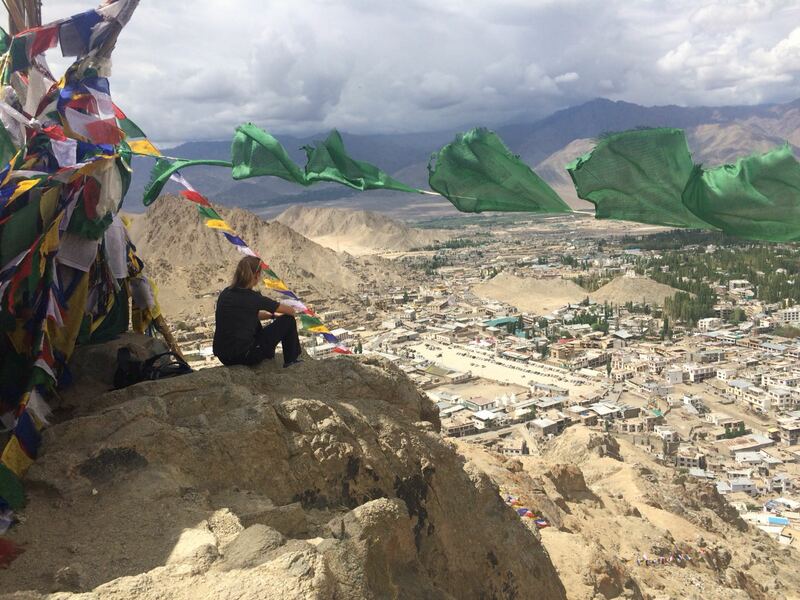 The first few days were spent acclimatising to the altitude with visits to monasteries, temples, palaces and the summer residence of the Dalai Lama. White water rafting in the Himalayas presented to the young people the very the different challenges of water speed and temperature. The river is totally dependent on water fed from melt from the snows and glaciers of the Karakoram. Any accidental swimmer is immediately carried far away from the raft and potentially subject to cold water shock. The long stretches through the Indus Valley provided some of the most breath-taking scenery imaginable. The river was surrounded by desert plains stretching out to the horizon where snow-capped peaks rose above the clouds. Whilst the monsoon battered the rest of India, these peaks acted as ‘raincatchers’ feeding the glaciers but producing endless deserts within their boundary. Long days were spent paddling, trying to avoid rocks, shallows and whirlpools. Rapids were frequent, with waves breaking over the crews and just occasionally cadets were observed with one hand on the paddle and one firmly clutching the raft. Everyone was rapidly soaked and collisions with rocks frequently ejected youngsters from the rafts. Swimmers were usually rapidly recovered with one notable exception who disappeared off, breast stroking for Pakistan and when retrieved had to be ‘pumped out’ by the medics. The river banks provided perfect campsites with the trail crew brewing unending tea and challenging curries. The locals came out in force to observe campsite activities and joined in a cricket match which they won easily. Just occasionally guards were deployed through the night to deter more acquisitive visitors. 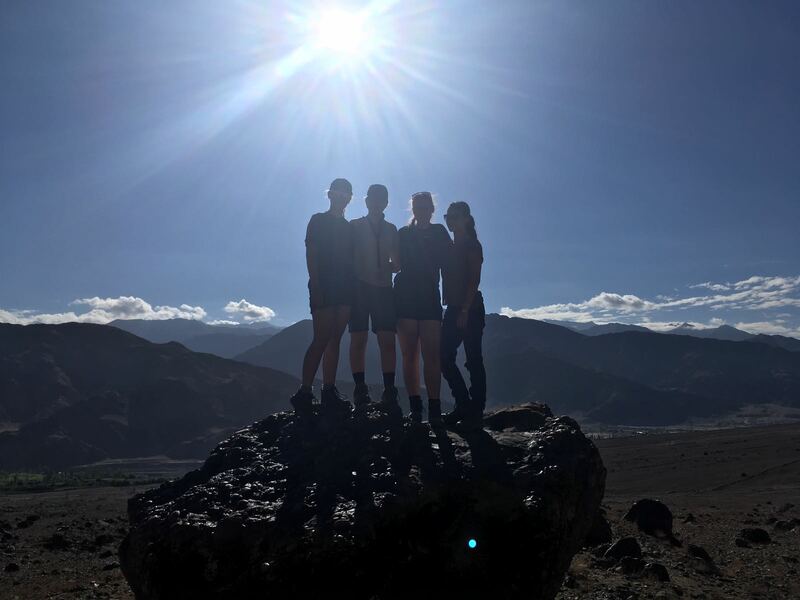 After a day’s rest at Leh, the group split into two sections, one to undertake an unsupported Duke of Edinburgh’s Gold Award expedition south of the Indus and the other group departed to trek in the Matho region. Trekking started at Martselang with an immediate steep ascent to 18,000ft. The pass provided fabulous views across several mountain ranges intersected by steep gorges with a series of glittering lakes. The landscape itself was completely barren with no signs of life. The first day ended with a fast approaching storm, claps of thunder and a hasty final dash to erect camp before the deluge arrived. Trekking days were strenuous, taking in several climbs to high passes then steep descents to valley floors. River crossings were frequent and recent rain had made many traditional fords impassable, necessitating long diversions to get across freezing torrents. Just occasionally the group passed through tiny villages, some of the highest inhabited settlements on earth, where they were met by packs of hostile dogs and incredibly welcoming people. The final day brought the group to Stok, a remote and fascinating outpost of the ancient kingdom of Ladakh. The village is still the current residence of the former royal family. 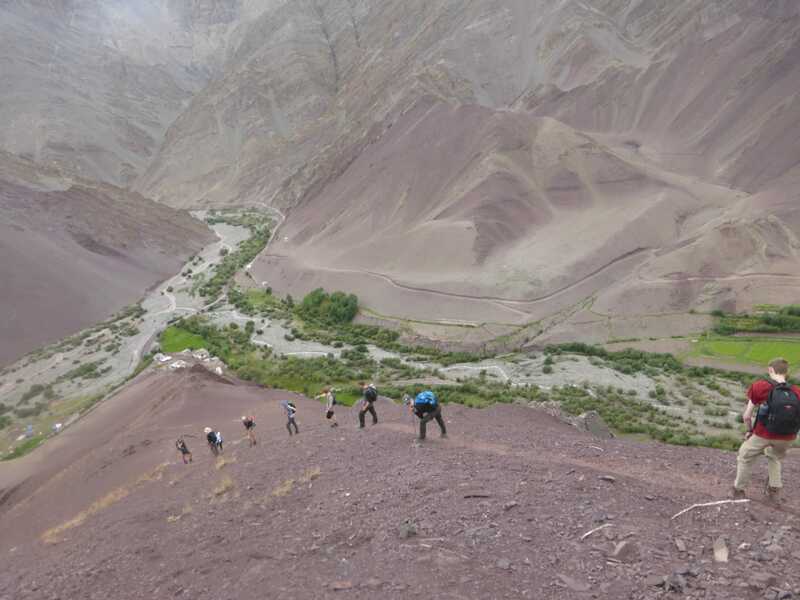 Meanwhile far to the south, the D of E group were traversing the lower slopes of the Ladakh Range. The blistering heat of the barren hills demanded a dawn departure with each cadet carrying as much water as physically possible. The aim was to be in a camp, always near a monastery, where they were assured of water, by early afternoon. By the final day this had become a venture of dry throats and blistered feet. Requiring the highest levels of acclimatization, mountain biking had been programmed as the final physical challenge. Trails covered a variety of terrains both on and off-road with one crossing at 18,800 feet the highest navigable pass in the world. Here long-suffering soldiers came out of artic type shelters to take photographs of the group. Many long chest-exploding ascents were rewarded with some huge descents one of 20 miles, where unfortunately one young man used his body as a braking device. With the adventurous training elements of the venture completed, the journey back down to New Delhi started. The Leh-Manali Highway, covering some 300 miles and crossing two chains of the Himalayas, is one of the world’s great road journeys. Army construction teams laboured to clear landslides and cut through glaciers, wrecked vehicles which had plummeted off the road were frequent monuments to recent accidents. Averaging just 10mph and with a stop at the edge of the desert, the group arrived in the old hill station of Manali. Here the tropical monsoon re-joined the group and with torrential rain battering the roof and a pack of aggressive monkeys camped in the corridor outside, exploration was somewhat limited. The next stop was at the 15th century Mughal fort at Nalagarh where some poor boy was dispatched on a motorbike one hundred miles through the night to Chandigarh to fetch drinks. 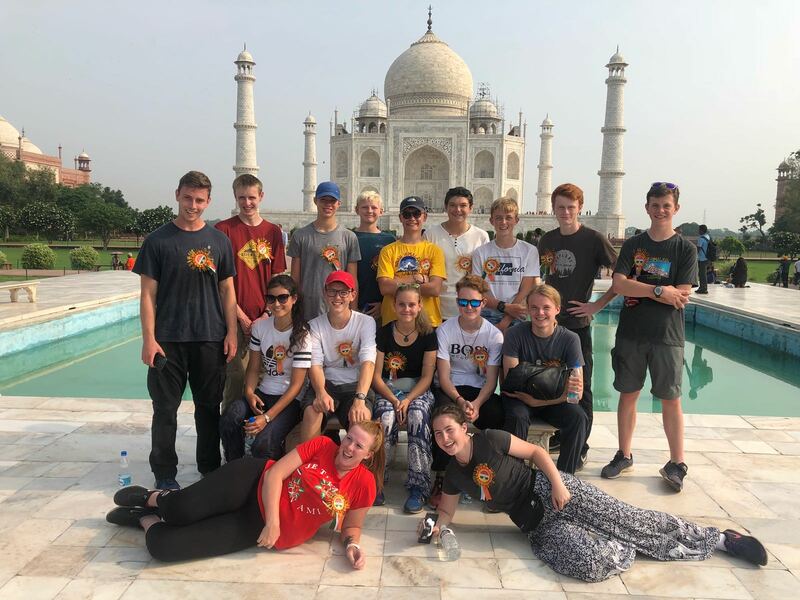 A few days resting in New Delhi gave the group a chance to visit the Taj Mahal, Connaught Place, The Red Fort, India Gate and Gandhi’s House as well as taking the giant military parade to mark Independence Day. There is no way that some of these cadets could have ever contemplated participation without the support of the Ulysses Trust. Our cadets returned to college in September as a completely different group of young leaders. Now as a cohesive cadre, they have launched themselves into instructing and mentoring our new cadets with a maturity that belays their years. Their levels of self-confidence have risen immeasurably and they now have a much more realistic perspective on life. 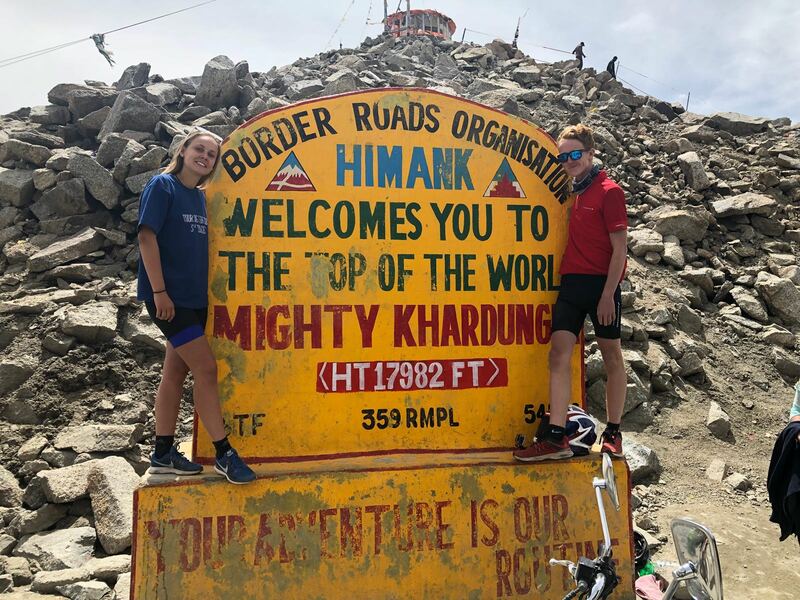 Abi White and Finn Meany at the Khardunga Pass whilst mountain biking the highest road in the world. The Duke of Edinburgh’s Award group descend to their first camp site.